Upon first reading of ‘The Firesun Story’ as Dena Lawrence the Artist behind their creation calls it, one can be forgiven for jumping to ill formed conclusions regarding carpet making as some form of therapy. Foremost amongst them may be the notion of entitlement one must possess to think mental woes can be healed by having artwork reproduced by people whose own problems transcend an entire range of possibilities well beyond Western realities. That is of course the erroneous simpleminded logic of today’s everything is offensive society, whereas the real meaning is far deeper and far more meaningful, if one would simply bother to look. While visiting Kashmir as a tourist in 2010, Ms. Lawrence was strongly affected by the suffering of people there as a consequence of the region’s long history with turmoil, uncertainty, and Military insurgency. She explains, ‘I set up a self-funded Art therapy project over the course of three (3) years working with the youth in Kashmir as a way to express their trauma, grief, and depression through Art. 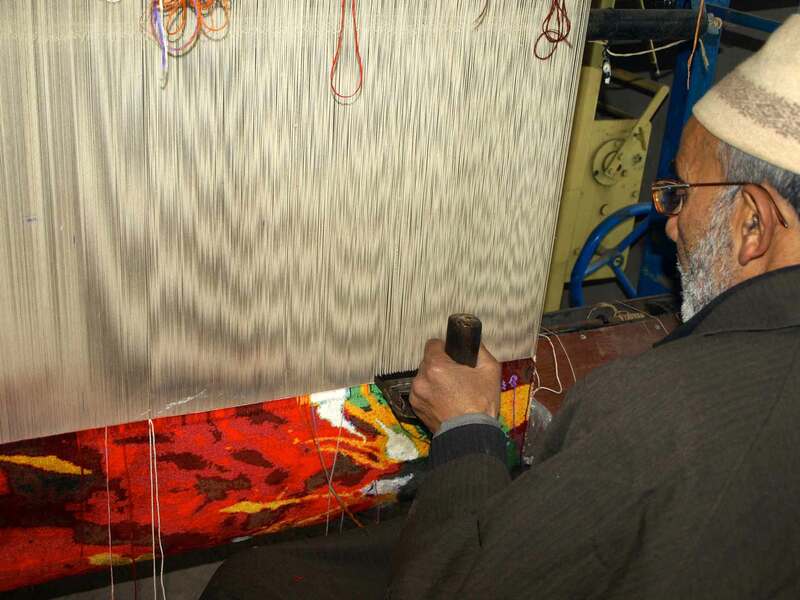 Whilst working there I was intrigued by the ability of the people as Artists and Artisans.’ It was during this time that Ms. Lawrence met an Indian gentlemen and now colleague – Mr. Khalid Faridi – who had also been working in Kashmir and it was him who put forth the idea of translating Dena’s artwork into carpets by weavers in Srinagar. 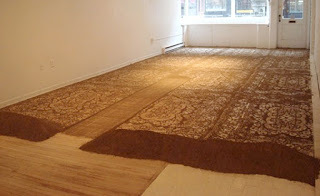 ‘We set about establishing a small production unit weaving my Artwork into rugs in Srinagar three (3) years ago. 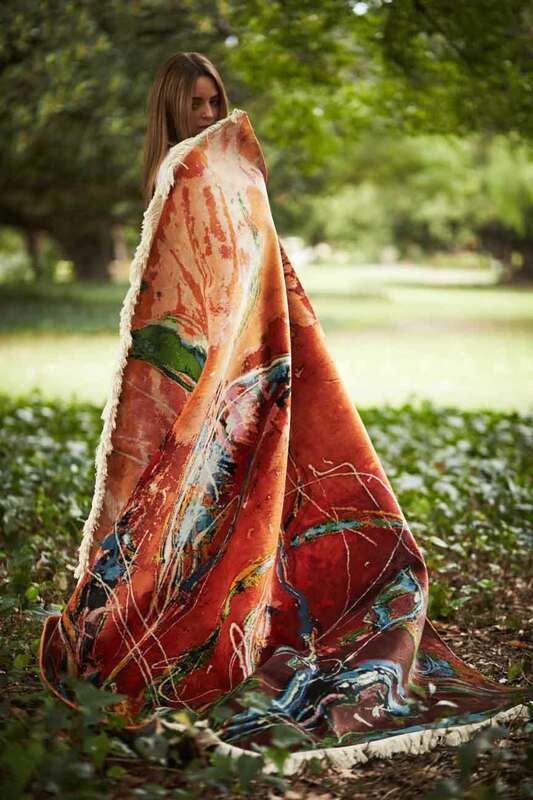 Initially it was exactly that – my Artwork was translated and woven into silk rugs and or wall hangings. 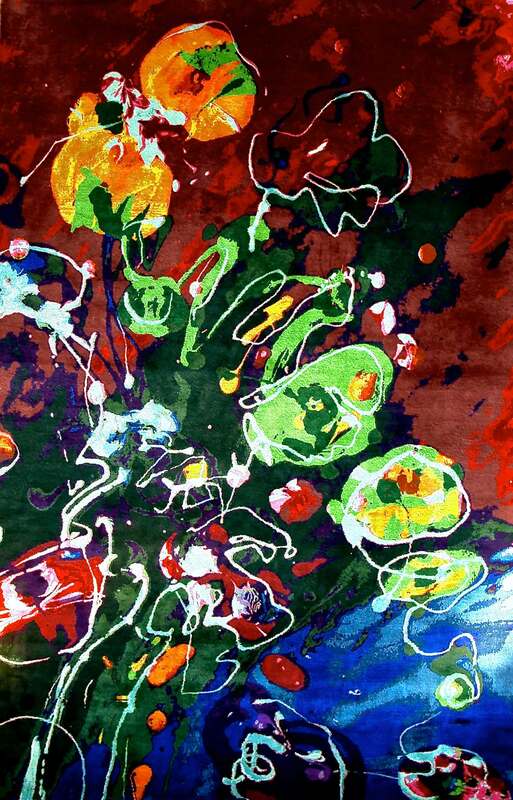 What is unique about the rugs is that it is a direct translation of a free expression painting. 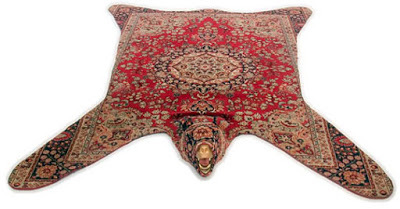 One rarely sees this in the market as rugs.’ Ms. Lawrence states. Ms. Lawrence was prompted in that reply by my question regarding whether or not she creates Artwork simply as capital ‘a’ Artwork in the ars gratia artis sense or is she painting with a finished carpet in mind. 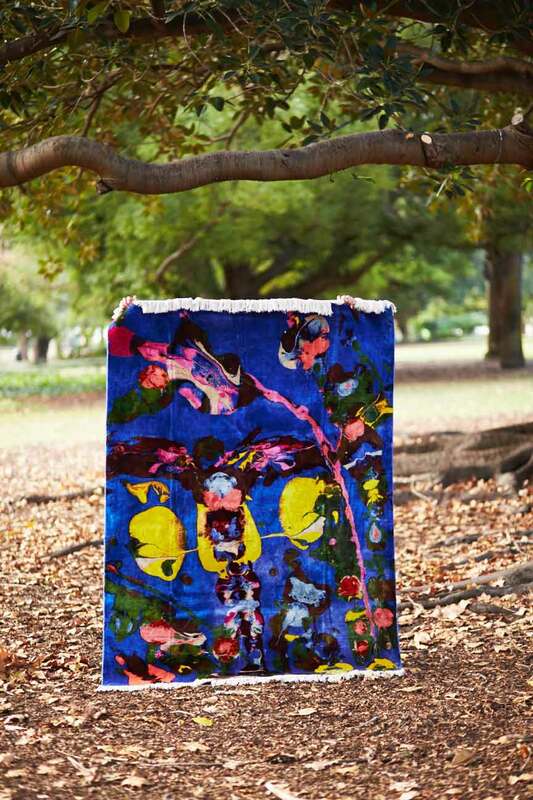 She continues, ‘Now when I am painting and have become aware of this becoming a rug, my style has started to change. To design for a rug is a completely different creative space and I am working to create a new range of rugs in Kashmir combining free expression with fewer marks and colours.’ This balance between Art and Design, purpose and meaning, all bring into question the relationship the entire contemporaneous rug and carpet industry has betwixt designer and maker. In short, one is not independent from the other, and to separate the two (2) is to ignore the collaborative and mutually influential nature of truly great work – rugs or otherwise. 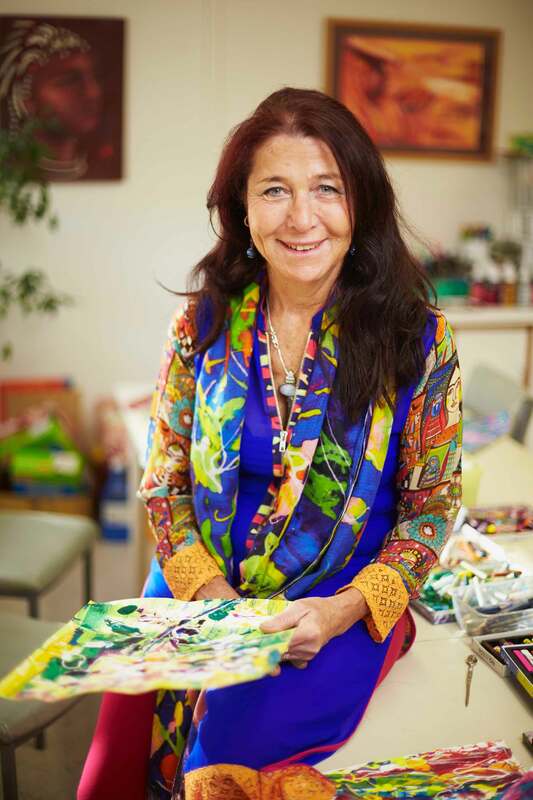 Art Therapy – sometimes known as Art Psychotherapy and creative Arts therapy – encourages self-discovery and emotional growth. It is a two part process, involving the creation of art and the discovery of its meaning. Rooted in Freud and Jung’s theories of subconscious and unconscious, art therapy is based on the assumption that visual symbols and images are the most accessible and natural form of communication to the human experience. Patients are encouraged to visualize and then create, the thoughts and emotions that they cannot talk about. The resulting artwork is then reviewed and it’s meaning interpreted by the patient. The ‘analysis’ of the artwork produced in art therapy typically allows the patient to gain some level of insight into their feelings and lets them work through these issues in a constructive manner. At its most successful, Art therapy triggers an emotional catharsis. As a well informed rug consumer, designer, architect, carpet maker, or simply a person who loves beauty, I think it a fair question to ask: When you’re buying the same monotonous look you saw in last month’s issue of ‘Aspirational Living’ or in the gluttonous catalog from wannabe retailer ‘Restoration, Pottery, Pier, and Barrel’ (to quote the fantastically irreverent Clone High), what are you saying about yourself? Are you afraid to be an individual? Are you afraid to express the truth or your true authentic self – if we are to use jargon of today? Do you want to be a trend follower or a trendsetter? There is always good with bad and the best results are a skillful blend of the two (2). As much as we promote the absolute best of the rug and carpet industry we also acknowledge the importance of carpets less than the best. Nothing is truly great if everything is, but as I am known to say, I digress. Enough philosophy inspired by beautiful carpets. 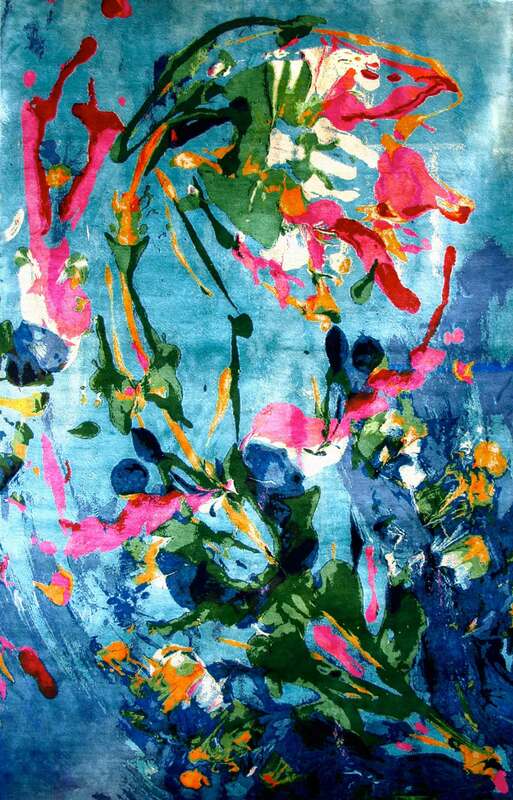 Enjoy life, create and buy wonderful things, understand we all play our part, and above all else strive to understand this crazy world (of rugs)! Dirt Carpets and Speaking Engagements!